I'm pretty sure that after Memorial weekend we can all agree that summer starts, since its when the weather gets warmer, kids get out of school, and the family vacations start to happen. With that being said memorial day is literally days away and I thought it would be fun to share a little yummy treat with you all of what I will be making Memorial Day, so happy Memorial day and let's get this started! Start by washing your fruit and cutting your strawberries. You can either scoop the middle of strawberry out or cut "X" from the top of the strawberry (the tip) to around the middle of the strawberry. 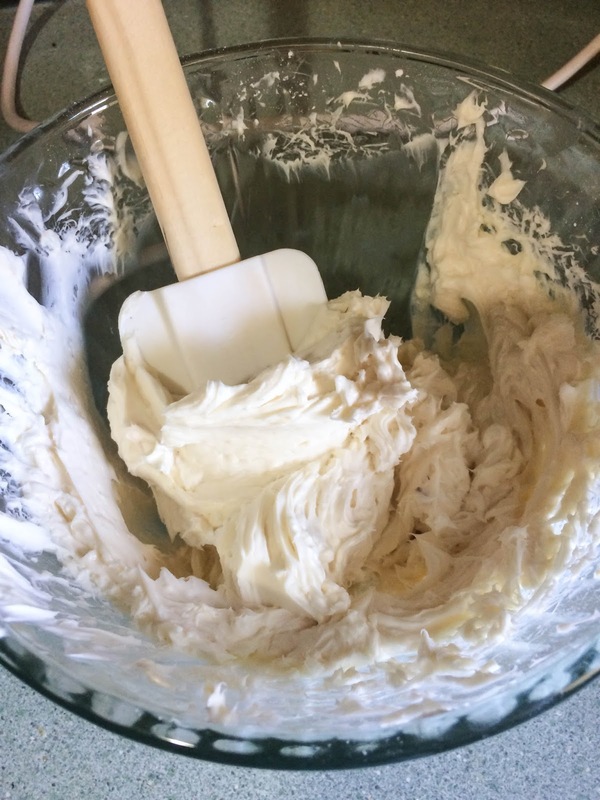 Grab yourself a bowl and a hand mixer and add your cream cheese, powdered sugar, cane sugar, and vanilla extract and any optional ingredient as mix until your consistency looks like this below. To stuff your strawberries, what I did was put my filling in a piping bag or you can use a spoon but I found the piping bag easier! 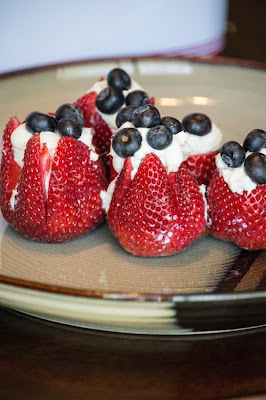 Now add your cream cheese filling to your strawberries and top it off with blueberries! You imagine how more berrylicious it would of been if I topped it off with raspberries, oh yum! That's it guys! 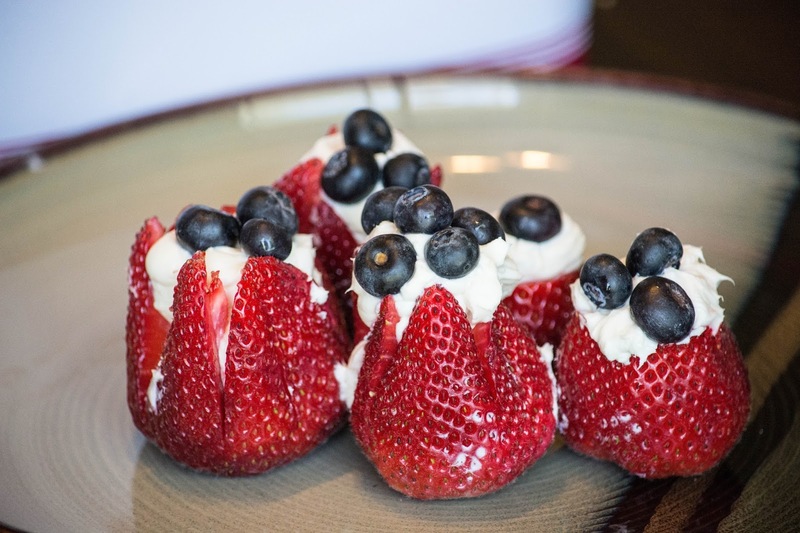 They truly are the perfect patriotic dessert with this weekend! Oh, yum!!! This is my kind of dessert!! Fresh and simple! Thanks for sharing! !